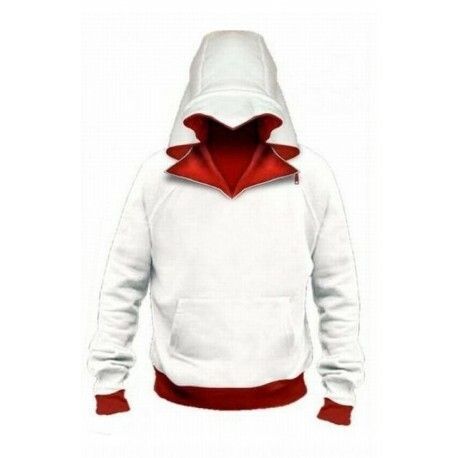 > White Hoodie "Assassin's creed"
"Assassin's creed" hoodie is best gift for all fans of "Assassin's Creed" universe. Red inside, white outside(can be made in black color by request). 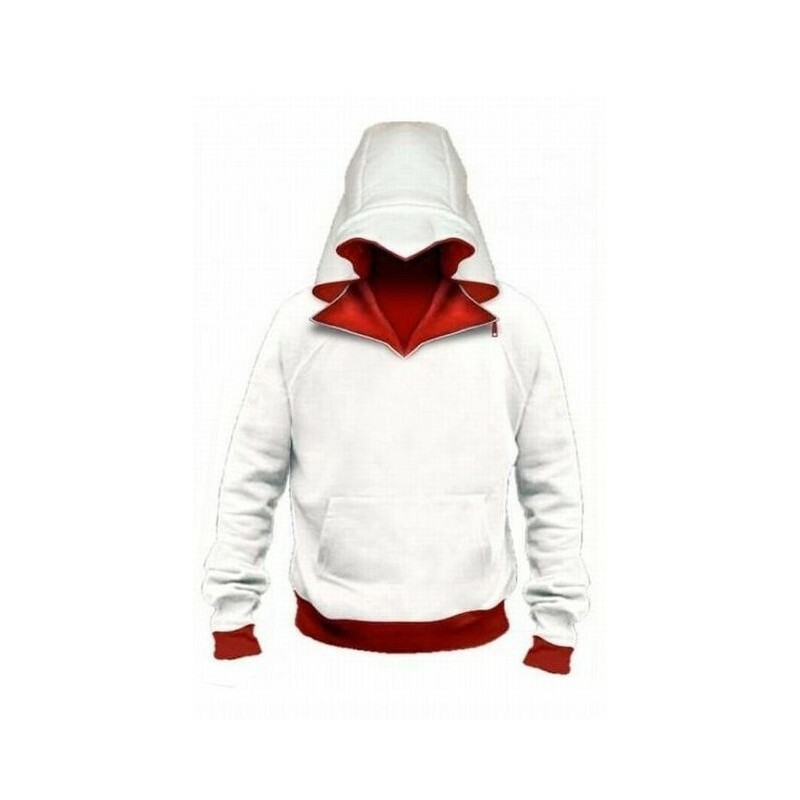 The hoodie is nicely fit for both everyday usage and sports activities. Female sweatshirt is perfectly emphasizes the waist. Four stars only because of how long this took to get to me. I knew it would take a while, but I would recommend this be addressed by the shop. The hoodie, on the other hand, is fantastic, and a much appreciated gift I'm very tempted to get my own now.